What Do I Do If I Need to Get a Copy of a File That I've Backed Up? So you've backed up all of your important data using online backup but now that you've accidentally deleted a file (or 1,644 of them), how do you get your hands on your backup copies? Can you download a copy from the backup service's website or is there something you need to do on your computer instead? "How do I get a file back from a cloud backup service if I've lost or deleted it?" Most online backup services offer a number of methods for restoring your previously backed up data but the two most common ways are web restore and software restore. With web restore, you log in to your backup service's website from any browser on any computer or device, using your username and password that you signed up with. Once in, you just search for, and of course download, the file(s) you need to restore. Web restore is great when you need to restore one or more files but you're not near the computer that you backed them up from. However, it can be cumbersome when what you really want is to restore the file to its original location. For example, let's say you're at a family member's house and they want to see the Photoshop restoration work you did on a damaged family portrait from the 19th century you've been working on. It's a big file, and one you've been saving to several times per week, so keeping it on your phone doesn't make a lot of sense. 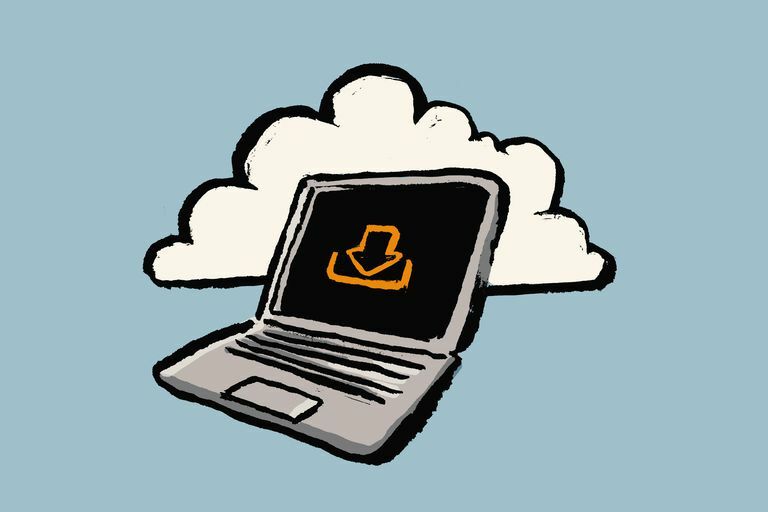 Because your cloud backup service has a web restore option, you can log on to your account from any computer in the house, download it, and show it off. With software restore, you open the online backup service software on your computer and use the integrated restore option to find and download the file(s) you need. Software restore is great when you want to do a simple restore of one or more files to their original locations (though a new location is usually an option too). For example, let's say you're working on a big project at work - a giant 40 MB spreadsheet with all of last year's sales numbers in it. For some reason, you open the spreadsheet early one morning and it's corrupted! Nothing you do seems to help. Luckily, the online backup service you've setup backed up the spreadsheet just after you finished saving it the night before. With software restore, you just fire up the backup software, navigate to where it's saved, and click one button to restore the working version. You can see which of my favorite online backup services offer Desktop File Access (software restore) and Web App File Access (web restore) by checking for those features in my Online Backup Comparison Chart. Additionally, almost all online backup services offer mobile apps, giving you anywhere-access to all of your backed up data. See Since My Files Are Backed Up Online, Can I Access Them Anywhere? for more on this. What if your entire computer dies and you need to restore everything? See If My Entire Computer Dies, How Can I Get My Files Restored? for more on that. Unfortunately, neither web restore nor software restore is a good option immediately after a major computer failure, at least not for all of your files at once.